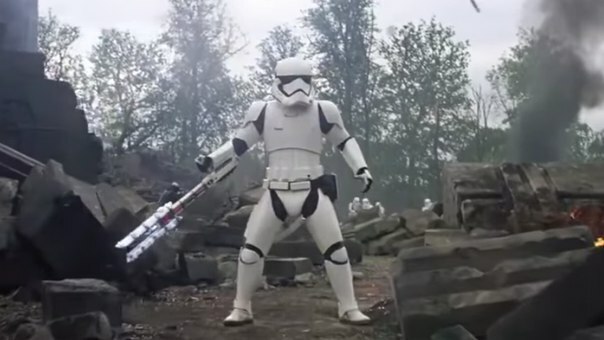 StarWars.com Confirms the Identity of "TR-8R"
One of the surprise break out stars of Star Wars: The Force Awakens was the stormtrooper who attacked Finn during the assault on Maz Kanata's Castle, shouting "Traitor!" before throwing down his blaster and shield to fight Finn with his Z6 baton. The character has already become an internet meme and StarWars.com, today, confirmed his identity. 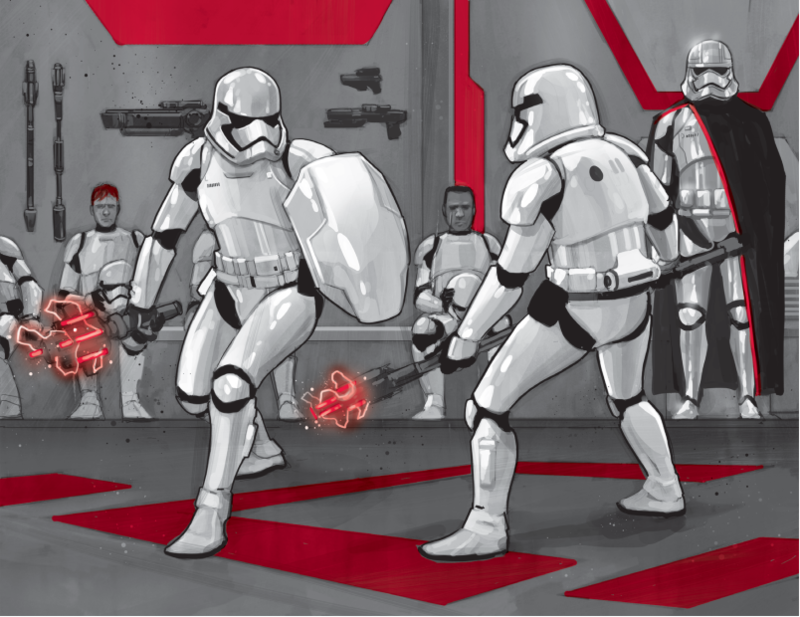 Turns out "TR-8R" is actually named FN-2199 and was a part of Finn's squad as they were training to become stormtroopers. FN-2199, aka Nines, is featured in the Finn short story of Star Wars: Before the Awakening book by Greg Rucka. He is pictured below in artwork by Phil Noto from Before the Awakening (he is the one in the background with the red hair). The voice of "TR-8R" was provided by David Accord, a veteran of Skywalker Sound who has worked on the prequel films as well as the Star Wars: The Clone Wars animated series. Accord had previously lent his voice to several The Clone Wars characters. Inside the armor is stunt actor Liang Yang (not some random dude who was claiming to be on the internet). Liang's previous work includes Skyfall, Game of Thrones, Edge of Tomorrow, and Kingsmen: The Secret Service. Why is he referred to as "TR-8R" is he us really FN-2199? That's the name the internet gave him, not his actual name. Because its like reading traitor... get it? Thanks Gafgaryon Beaudry and LittleMikey!